Australian and US Lockheed Martin engineers and technicians working with the Air Warfare Destroyer (AWD) Alliance team have successfully completed testing of a Lockheed Martin produced combat system. 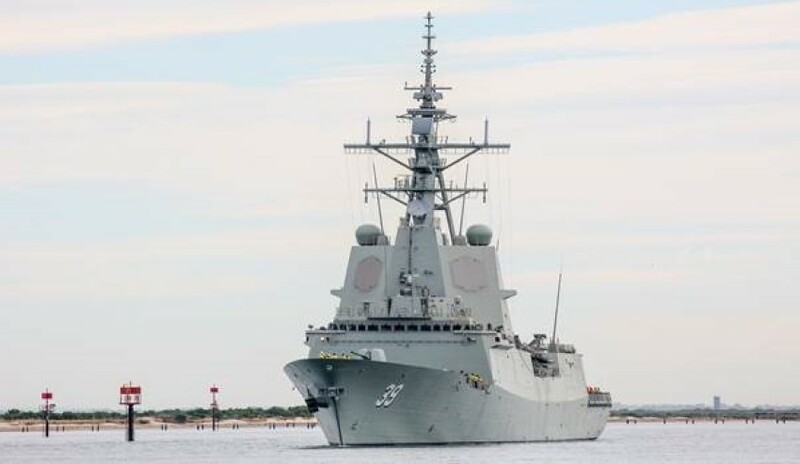 As reported on Defence Connect, the AWD Alliance team, comprised of the Department of Defence, Raytheon Australia, Navantia and ASC Shipbuilding, recently completed five weeks of Sea Acceptance Trials aboard the future HMAS Hobart, first-of-class of Australia’s three new Aegis-equipped AWDs. The main focus of these trials was to test and verify the ship platform and its ability to support the combat system, including demonstration and test of the Aegis combat system operations across multiple warfare areas in an at-sea environment. The Aegis Weapon System is a centralised, automated, command-and-control weapons control system that was designed as a total combat management system from detection to engagement. The Aegis Weapons System enables multi-mission capability, network-centric warfare, co-operative engagement capability and growth to SM-6 and future capabilities. The Aegis combat system at-sea testing was successfully conducted by the Hobart Integrated Test Team (ITT), which includes Lockheed Martin engineers and technicians from Australia and the US supporting the Commonwealth and the AWD Alliance team. The ITT was responsible for testing the Aegis combat system to ensure the equipment is properly installed and functional. Vice president of naval combat and missile defence system for Lockheed Martin Jim Sheridan said the successful results of the trial proved the Aegis system is a significant capability for Australia’s navy. "This is yet another significant milestone for the Commonwealth and for the Aegis combat system aboard Australia’s first Hobart Class destroyer, capable of simultaneously defending against advanced air, surface and subsurface threats," said Sheridan. "Having these three destroyers with the Aegis combat system provides Australia with new, game-changing capabilities to address modern threats." Australian Aegis engineer for Lockheed Martin Australia Paul Waterworth said he was proud of the team’s work on this significant defence project. "Australia is receiving a significant new capability which, as an Australian, I am very proud of contributing towards,” Waterworth said. “The team is dedicated to ensuring the successful delivery of Hobart’s Aegis capability to the Royal Australian Navy." The Hobart Class destroyers are being built under Australia’s SEA 4000 program, which will ultimately deliver three advanced multi-mission ships by the end of 2019. These destroyers will be Australia’s first ships to be equipped with Lockheed Martin’s Aegis Weapon System, which integrates commercial-off-the-shelf technology and open architecture into the combat system. Lockheed Martin is the Aegis Combat Systems Integrator and engineering agent for the US Navy Aegis destroyers and cruisers, Australian AWDs, as well as a range of other international customers for both new construction and modernisations. Lockheed Martin also provides the combat system engineering, integration and test for the US Navy’s future frigate and Freedom Class Littoral Combat Ship programs. Australia’s AWD will become part of a global Aegis fleet — Hobart marks the 107th ship and the sixth Allied nation to benefit from Aegis capabilities — joining Japan, Spain, Norway, the Republic of Korea and the US.